I was fortunate to visit the Centre de Cultura Contemporània de Barcelona this weekend with my friend Mertxe on the beginning of our Articket tour of Barcelona’s museums. 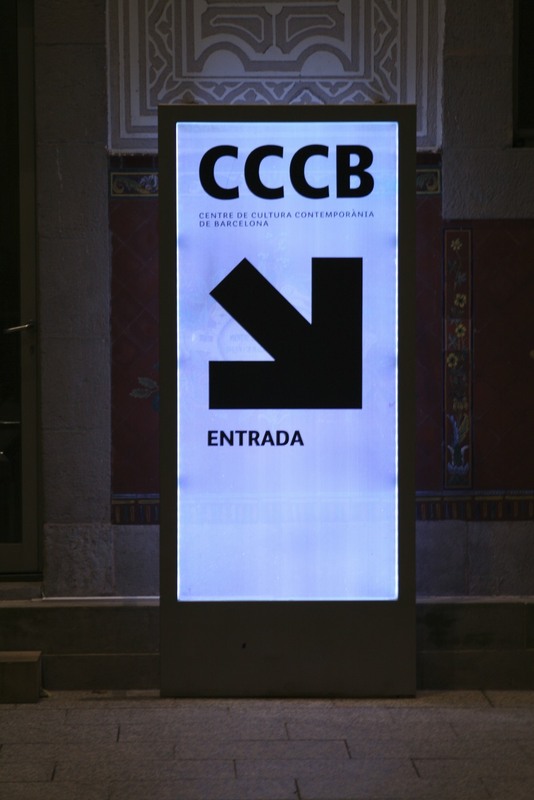 There were two fascinating exhibits: The Complete Letters (Todas las Cartas) and Global Screen (Pantalla Global). Maybe it’s the way time moves more slowly here, maybe it’s the Mediterranean, maybe it’s something they put in the water, maybe it’s the people, maybe it’s the 5 meals a day, or that you hear dance music at the bank, maybe it’s the ways the motos are parked on the sidewalk, or the little old people walking around at midnight, or the coffee, or the newspapers, or the irregular verbs, maybe the indignados who sleep in the ATM booths and lock themselves in, or the Gaudi, or the Catalan…whatever it is, there’s something about Barcelona! If you like good food, go to Barcelona. While they don’t serve paella as much as Cataluña as in the rest of Spain, there is something delicious: tapas.